Starting this season, SNLA has selected a GENRE SPORTSWEAR as the PREFERRED VENDOR for uniforms. GENRE SPORTS is a Las Vegas based manufacturer and designer of sports uniforms. SNLA has negotiated special pricing for our teams. YOU MUST USE THE SPECIAL ORDER FORM TO GET THE NEGOTIATED PRICING. Click here to go to forms page. 2. 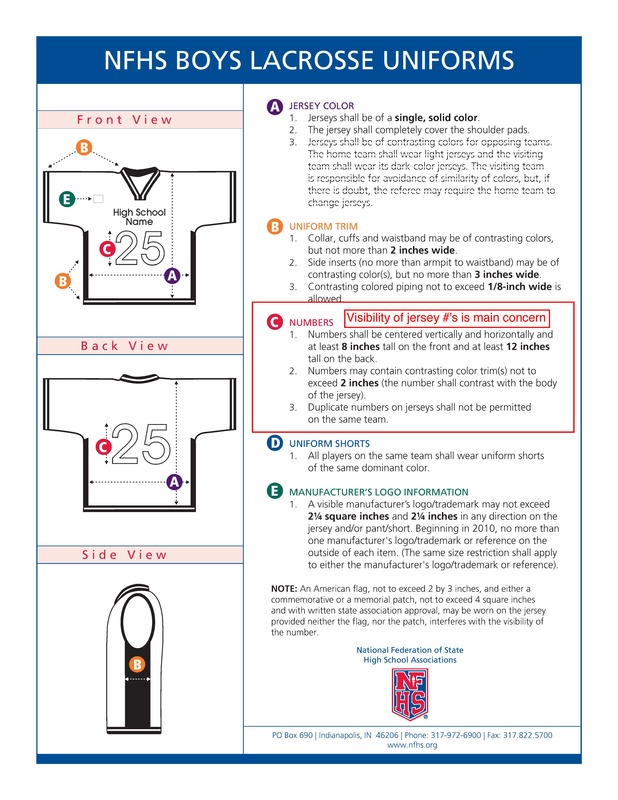 Make check to Genre Sportswear and submit to SNLA. 3. 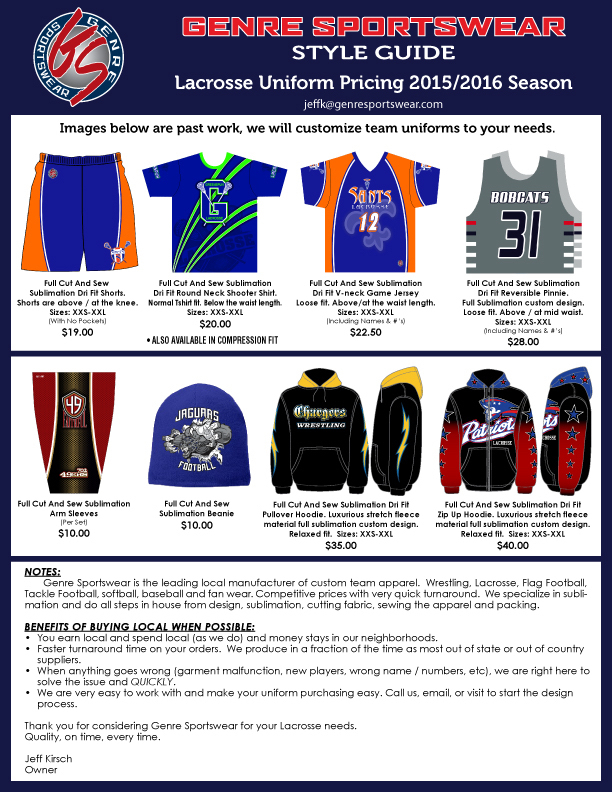 The teams work directly with Genre Sportswear to create/design their uniforms and interact directly with Genre Sportswear for any customer service issues. Because some teams have already started designing their team uniforms for 2016 with other vendors, SNLA will wait to transition to a single source vendor until 2017. A single source vendor will give us the best pricing and quality for our uniforms. If the league orders as a single entity with over 1,000 players, we will be in the highest tier for pricing which saves everyone money. Most large sports leagues do this to save everyone money. League will allow MS jersey to have 8" numbers on the front and 10" on the back. The numbers must be legible. The patterns CANNOT camouflage the numbers. All other guidelines apply. GENRE SPORTSWEAR ORDER SHEET. YOU CAN DOWNLOAD THIS FROM FORMS.